The stock moved higher by 6% to Rs 368 on BSE on the back of heavy volumes. Shares of ICICI Bank moved higher by 6 per cent at Rs 368 apiece on BSE on hopes of strong earnings in October-December quarter (Q3FY19). The private sector bank is scheduled to announce its Q3 results after market hours today. Analysts expect ICICI Bank to report strong results for Q3 quarter, thereby supporting further re-rating. “We increase target price on ICICI Bank to Rs 415 (from Rs 365) as we increase our multiple to 1.8x from 1.6x Sep-20 ABV & SoTP, mainly as we see this business cycle will lead to higher multiples unlike last two cycles which had effects from Retail (2005-2008) and corporate cycle (from 2012-2018) and discount to peer banks should narrow as earnings will see sharper recovery,” analysts at Prabhudas Lilladher said in results preview. The bank’s net interest income (NII) recovery should continue to be good as loan growth improves including the loan buyouts from non-banking finance companies (NBFCs), but PPOP (pre-provision operating profit) growth should be lower than NII as other income will remain tepid. The credit cost to slightly come off as slippages should be under control and asset quality should be stable, the brokerage firm said. Analysts at Equirus Securities expect ICICI Bank’s RoAs/RoEs to improve to 1.6 per cent/14.6 per cent by FY21E (FY19E: 0.5 per cent/4.7 per cent) led by a around 30bps expansion in NIMs over FY19E NIMs of around 3.2%, a sharp around 115bps decline in provisions, contained incremental slippages (FY20E/FY21E: 1.8 per cent/ 1.3 per cent) and acceleration in loan growth (FY20E/FY21E: 17 per cent each). Given the current market dynamics, post recent liquidity events following IL&FS’ default in September 2018, financial entities with a strong liability franchise will do well over the next couple of years. 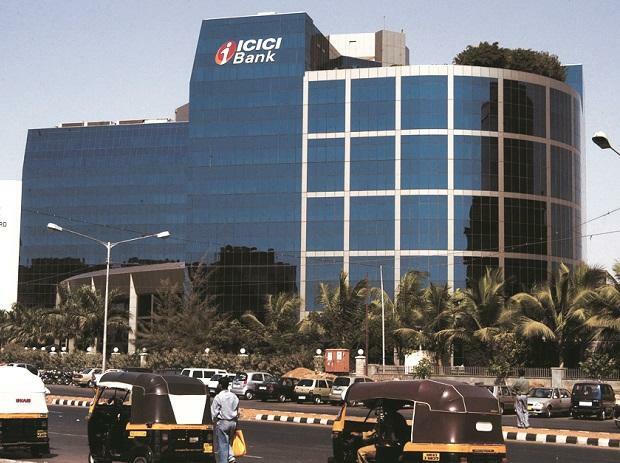 ICICI Bank, with a healthy CASA (current account saving account) of 50.8 per cent (Q2FY19) and a retail-heavy deposit base, is likely to emerge as a beneficiary. Additionally, with competitive pressures easing on asset pricing and both banks and NBFCs taking price hikes, we expect an around 30bps NIM expansion for ICICI Bank over the next two years, it added. ICICI Bank has substantially increased coverage on National Company Law Tribunal (NCLT) exposure (90 per cent/62 per cent coverage on NCLT list-1/list-2), which will insulate earnings as these cases undergo resolution. Watch-list has declined successively, while PCR has increased sharply to 59.5 per cent, Motilal Oswal Securities said in results preview. ICICI Bank had underperformed the market by falling 9 per cent from its recent high of Rs 382 on January 9, 2019. In comparison, the S&P BSE Sensex was down 2 per cent during the period. It touched an all-time high of Rs 383 on January 9 in the intra-day trade. At 02:48 pm, the stock was trading 5 per cent higher at Rs 363 on BSE, as compared to a 0.20 per cent fall in the benchmark index. The trading volumes on the counter jumped 1.5 times with a combined 36 million equity shares changed hands on the NSE and BSE so far.